The U.S. Defense Secretary Jim Mattis had presented a preliminary version of the Pentagon’s new plan to rapidly defeat the Islamic State of Iraq and Syria during a meeting of the White House Principals Committee, a Pentagon spokesman Navy Capt. Jeff Davis said оn February, 28. The plan involves making a “devastating impact” on the terrorist group. According to Davis, the document calls on all the branches of the U.S. government, diplomatic, financial and intelligence elements of national power as well as cyber-security agencies to unite and intensify joint actions. The plan is transregional and is aimed at defeating such terror groups as Al-Qaeda and ISIS around the globe. It also proposes to increase the U.S. military contingent in Syria and to cut off terrorists’ funding. However, after close examination Pentagon’s proposals raise a lot of provocative questions and may come in for sharp criticism. First of all, some Western experts say the increase of the U.S. troops in Syria will not contribute to the establishment of security and stability in the country. On the contrary, it will lead to further escalation of tensions and deterioration of the security situation. The experience of Afghanistan and Iraq suggests that it is not a good idea. About five hundred American soldiers including U.S. SOF have already been deployed to Syria. Analysts believe that with the implementation of the proposed plan this number may rise up to five thousand. This may also result in loss in personnel and materiel, to say nothing of possible refusal from participating in the peace negotiations. We speak here about several opposition groups set against the United States, such as Ahrar al-Sharqiya. Second, there are doubts about the effectiveness of the former Obama administration’s counter-terrorism efforts. The U.S. House Homeland Security Committee reported more than once on the sources and possible methods to counter the growing income of the terrorists. Meanwhile, the problem of financing terrorism in Syria and Iraq has not been solved yet and it is still present. 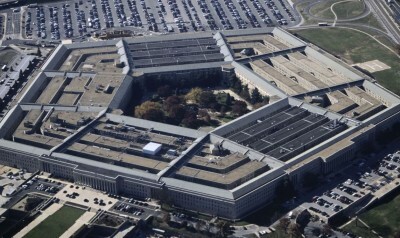 The DOD has revealed no breakthrough solution having reduced its efforts to cutting off terrorists, targeting oil-refining infrastructure of ISIS in Syria and Iraq, imposing sanctions on those buying oil from the Islamic groups, blocking financial channels in cyberspace and stopping illegal trade of cultural heritage artifacts. The reasons that have been preventing the U.S. authorities from achieving results in this direction so far remain a mystery. Third, the Pentagon didn’t miss the opportunity to request additional funding for its ‘devastating blow’. As a result of the approval, Trump’s Defense-Heavy Budget Plan may incur additional costs. This is what will probably happen in the near future, as the President has repeatedly announced plans to increase Pentagon’s funding by $54 billion. Fourth, the plan does not stipulate the cooperation with other concerned states, which may lead to severe repercussions. The Islamic State skillfully uses the friction between its adversaries and will not miss the opportunity to draw the consequences of reckless American invasion against the White House. The U.S. spin doctors, who hide destructive actions of the U.S. on a global scale by casting a false light on it, try again and again to draw the attention of the public. Could the new plan be just another publicity stunt? Will the U.S. be able to eradicate the very roots of terrorism? Only time can tell.